Product Number Shipping Weight 0.15 lbs. Enhancements in real-time voice, video, and data communications will allow the PC to become a centre of communications and creativity beyond just e-mail and instant messaging. Windows XP will also allow the user to connect back to the desktop from any location, and support for new wireless networks will be built in. 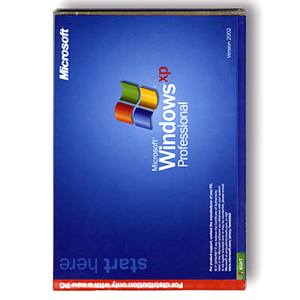 Windows XP will unify the user's support experience by enabling the user to provide temporary and secure control of their PC over the Internet to whomever can best help them. Windows XP takes an end-to-end approach to how people transfer videos and pictures onto their computer, how they use them on their PC and other devices, and how they share them, whether in person or through e-mail, over the Web, or through removable media like DVDs and CDs. It extends this experience through applications that help users buy music and videos, mobile devices, services for saving your music on the Internet, and more. Windows XP will make it easier for households to share a single PC and share pictures, music, files, printers, and other resources!! 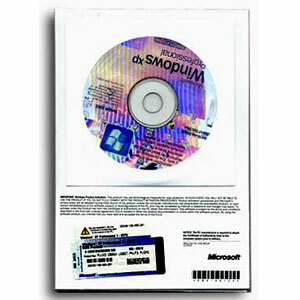 This Product contains an Electronic End-User License on the supplied CD. You must agree to the Terms and Conditions of this License to complete the Installation. If your intent is to use it as a valid End-User License please obtain your own legal opinions as to the validity. We assume no liability from any consequences arising from your decision. Dimensions 8 x 5.75 x 0.10 in.